Our workshops deliver invaluable knowledge and practical skills training to employees at every level of your organisation. Creating a work environment where mental health is understood and supported optimally means ensuring that there’s adequate education around mental health across the entire team. We have four individual workshops available, each of which has been specifically designed and tailored for various parts of your team: general employees, managers, HR personnel, and the senior leadership team. 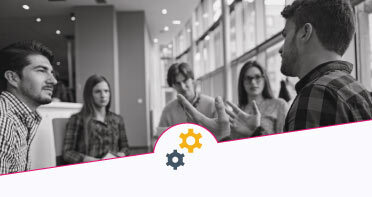 Our interactive workshops are engaging, through group discussions, real life examples and practical exercises, and invaluable information and practical skills training will be delivered to employees at every level of your organisation. Interested in learning more about our workshops? Send us a message - we’d be happy to help and discuss the options.